The evolutionary route from plant tissue culture (IAPTC) to plant biotechnology (IAPB). 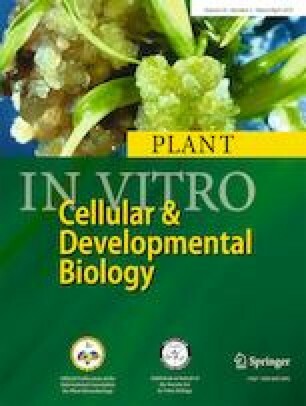 Plant biotechnology is an evolutionary scientific process, formulated and maintained by our accumulated cultural-societal knowledge and the invention of new technologies (Altman and Mesoudi submitted). It emerged thousands of years ago when wheat, rice, chickpeas, potatoes, and coffee (and other plants) were first domesticated; when grains were fermented by yeasts to produce bread; and when grape juice, barley, and tubers fermentation resulted in wine, alcohol, and beer. The modern era of plant biotechnology started in the beginning of the twentieth century and is associated with the ability to grow plant cells and tissues in vitro, to regenerate and clone new plants and, later, to modify their genetic characteristics by molecular breeding, including molecular marker-assisted selection (MAS), genetic modification (GM), and, more recently, genome editing. Additional novel procedures will most probably follow in the future.